Opioid abuse remains a serious public health issue throughout the United States. This is, however, an often misunderstood type of addiction, since many people who use opioid pain medication have a valid reason for doing so and abusers often begin due to an appropriately diagnosed medical condition. Opioids are a type of narcotic pain medication. They’re designed to interact with the opioid receptors on nerve cells in the brainstem, spinal cord, and limbic system to relieve pain. Heroin is also a type of opioid. Many people who begin abusing prescription pain medications eventually turn to heroin to get the high associated with opioid pain relievers at a lower cost. In fact, studies have indicated that as many as four out of five new heroin users started using after developing an addiction to prescription opioids. When used in a supervised medical setting, opioids are generally considered safe. However, the medication has a potential for tolerance, dependence, and abuse. The negative health effects of long term opioid abuse include a depressed immune system, lowered libido, respiratory difficulties, osteoporosis, abnormal heartbeat, hallucinations, delirium, and increased fatigue. Overdoses can lead to fatal oxygen deprivation. People of all ages, races, and economic classes can develop an opioid addiction. However, women appear to have the highest risk. 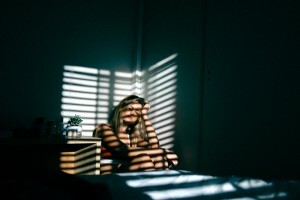 Research shows that prescription pain reliever overdose deaths among women increased more than 400% from 1999 to 2010, compared to a 237% increase among men during the same time period. In addition to being more likely to seek out prescription pain relievers from a doctor, women are more likely to become physically dependent on the medication due to their smaller size and hormonal makeup. Naloxone, sold under the brand names Narcan and Evzio, has received extensive media attention for its role in treating opioid overdoses. Paramedics, firefighters, police officers, and public safety workers are being trained to administer the drug in hopes of combating the opioid epidemic. However, the best way to fight opioid addiction is to seek treatment as soon as a pattern of abuse is identified. Treatment programs for opioid addiction provide medically assisted detox and cognitive behavioral therapy to help substance abusers learn different ways to cope with the underlying issues at the root of their addiction. To learn more about treatment options for yourself or someone you love, contact the experienced staff at St. Joseph Institute today.